World-claimed artists Sarah Brightman and Liu Huan will perform the theme song of the Beijing Olympics at the Opening Ceremony this Friday. 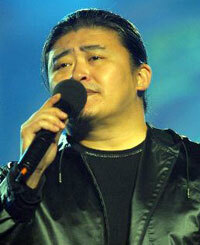 Liu is a famous male pop singer in China. In 1990, Liu and Chinese pop diva Wei Wei performed the theme song Asian Mighty Winds for the 1990 Asian Games. His song Asking Myself a Thousand Times for That remained in the No. 1 position for ten weeks on Chinese mainland radio stations in 1993. Beijing organizers said both artists have arrived in Beijing. Earlier, unofficial reports said the duo have been to the Bird's Nest earlier to rehearse. The Opening Ceremony organizing team refused to reveal whether the song is English, Chinese or bilingual, but said the lyrics and music were written by Chinese artists. Brightman (born in 1960) is a British classical crossover soprano, actress, songwriter and dancer. The Broadway star was the inspiration behind such stage hits as Phantom of the Opera and Requiem, written in her honor by ex-husband Andrew Lloyd Webber. British singer Brightman is best known for her appearances in shows in London's West End including the Phantom of the Opera. And Liu Huan, dubbed as China's "King of Pop," distinguished himself when he and Chinese pop diva Wei Wei performed together the theme song "Asian Mighty Winds" for the 1990 Asian Games.